There’s something magical about Rio de Janeiro, the cultural epicenter of Brazil and the party capital of South America. It’s a vibrant and diverse city, yet its laid-back atmosphere makes it a pleasure to visit and an adventure to explore. You’ll never get bored there, but tackling Brazil’s second city can be a challenge, especially for teen travelers. Here are seven of my favorite things to do in Rio de Janeiro. Lapa’s Selaron Steps, gateway to Rio. The vibrant neighborhood of Lapa is known for its exciting nightlife, but it’s also home to beautiful architecture you can visit any time of day. The neighborhood lies in the shadow of the imposing Arcos (arches) de Lapa, an 18th-century aqueduct. Next to the Arcos de Lapa, you’ll find the Selaron Steps (also known as Escadaria Selaron), 215 intricately tiled stairs leading from street level up the hill to Santa Teresa. Created by artist Jorge Selaron over the course of 20 years, he called it his “tribute to the Brazilian people.” While the view is amazing from the top, it’s also fantastic to stand at the bottom and look up at the mesmerizing tile work in its entirety. Parque Lage feels more like a countryside estate than a big-city mansion. Rio’s sheer intensity can be overwhelming. When I need a break from the busy city, I head to Parque Lage, where the 19th-century mansion and its surrounding grounds are free and open to the public. Inside the mansion is Plage Café, one of my favorite places to eat in the city. I recommend getting the pulled pork and pineapple sandwich — it’s my favorite! You can also take art classes and visit the small Cavalariças gallery in Parque Lage, although my favorite activity there really is just walking around. The grounds are home to a miniature aquarium, natural caves and overgrown ruins, and the entire park offers great views of Rio’s iconic Christ the Redeemer statue. Step onto Santa Teresa’s Bonde tram for a look at one of Rio’s most charming neighborhoods. Wrapped around a hill in northern Rio is the bohemian community of Santa Teresa, a small, artsy and secluded neighborhood that feels like its own town. The best way to get there is via the Bonde de Santa Teresa, a free streetcar that’s been running for nearly 140 years. The tram runs atop the Arcos de Lapa and chugs right into Santa Teresa’s main plaza. Once you get there, treat yourself to a suco de mango juice at Cafecito, shop for local crafts or visit the glorious abandoned mansion at nearby Parque das Ruínas. A typical Sunday at Ipanema’s bustling Hippie Fair. Image courtesy of Shutterstock. Breathtaking views from the Rocinha favela. A trip to Rio de Janeiro is incomplete without visiting one of the city’s favelas, or densely populated hillside communities. Because these neighborhoods are usually poor, outsiders consider them dangerous — some, however, are not only safe but very welcoming. 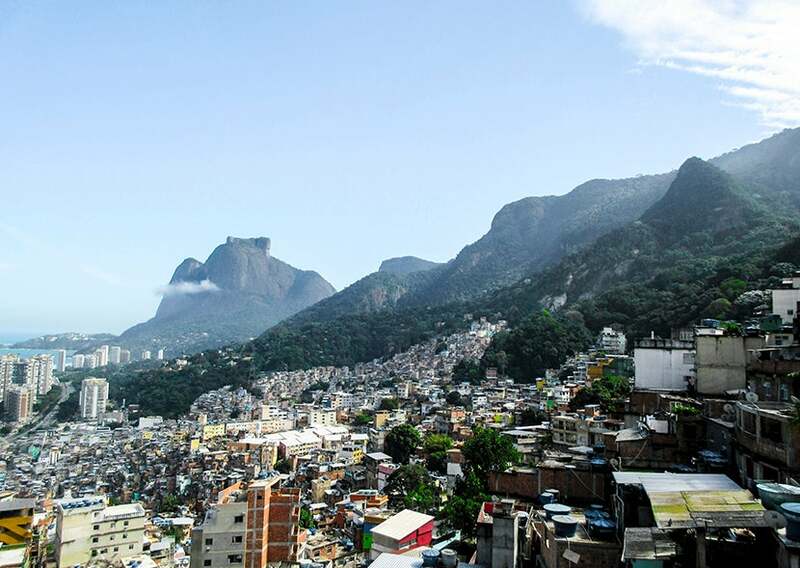 With an estimated 200,000 inhabitants, Rocinha is the largest favela in Brazil, and also one of the densest. There’s no place quite like it, and an afternoon spent walking through its alleyways makes for an exhilarating experience. It’s easy to get lost, so a walking tour of Rocinha should only be done with a knowledgeable guide. Erik Martins, a Rocinha native with local organization Rocinha by Rocinha, took us on a tour from the top of the favela to its base. It was an exciting opportunity to interact with Cariocas (Rio natives) and to experience the city from a local perspective. The striking Museum of Tomorrow looks like a sailfish soaring out of the ocean. A fascinating work of architecture built in preparation for the Olympics, Santiago Calatrava’s Museum of Tomorrow (Museu do Amanhã) juts out into Rio’s harbor. Imposing exhibits such as a planetarium show and a Stonehenge-like circle of 30-foot-tall video screens tackle themes of sustainability, resource consumption and future technologies. Though a trip to the museum can be a sobering experience, it can also be empowering — after all, our generation has to save the world, doesn’t it? Relax in the sun. Cool off with a swim. Repeat. Image courtesy of Shutterstock. If you’re like me, the first image that comes to mind when you think of Rio is miles and miles of beach covered by sunbathers. And it’s for good reason — the city is surrounded by excellent beaches like Copacabana, Ipanema and Leblon, where you’ll find fantastic white sand and warm water, each with its own unique feel. 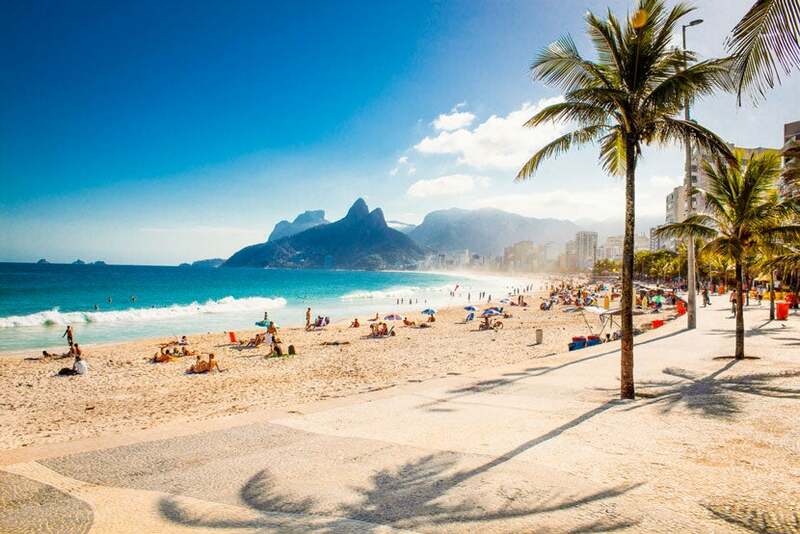 Ipanema’s glamorous vibe makes it fashionable with young singles, who flock to the area to swim, sunbathe and most importantly, see and be seen. Leblon Beach is equally posh but quieter, making it better for families. My favorite, however, is Copacabana. It’s popular with Rio’s locals and its location is perfect — close enough to Ipanema and Leblon to be convenient, but far enough not to be too crowded or noisy. Rio’s surf can be a little rough, so park yourself by a lifeguard station. After stepping out of the water, grab a fresh coconut from a street vendor — there’s no better way to beat the Brazilian sun! Rio de Janeiro is a metropolis of tremendous diversity — not only among its people but also among its countless neighborhoods. Exploring the city feels like traveling to several little towns, each with its own unique personality. As you make your list of things to do in Rio, know that you’re not going to finish it — I know I haven’t finished mine. While you’re there, you might end up going somewhere unexpected or doing something you didn’t even plan for, and that’s fine. Just relax, go with the flow and let Rio sweep you off your feet. Have you been to Rio de Janeiro? What do you love to do there?